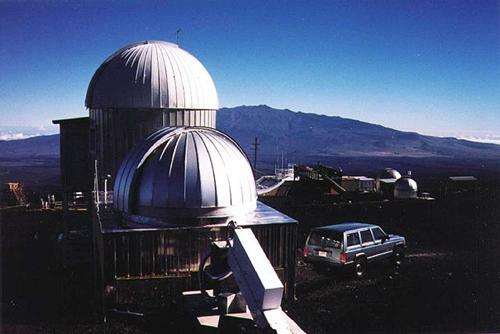 Scientists announce highest carbon dioxide atmospheric concentration in millions of years | West Coast Solar, Inc.
Every year, the National Oceanic and Atmospheric Administration (NOAA) takes a reading of the concentration of carbon dioxide in the atmosphere from the top of Mauna Loa in Hawaii. This test was carried out last week, and the results were troubling for those who are concerned about the economic and ecological effects climate change. NOAA reported that carbon dioxide had hit a “milestone” of 400 parts per million (ppm) in the atmosphere, which hasn’t happened in millions of years. Although this number doesn’t represent any particular threshold as is purely symbolic, for many it stands as a stark remind of how much work there is to be done in the service of reducing carbon emissions and expanding renewable energy sources. According to the U.S. Energy Information Administration, 67 percent of electricity production in the United States comes from burning coal or natural gas, which not only emits carbon but also exposes the U.S. economy to the rapid fluctuations in price that come with these resources. By contrast, only 0.7 percent is derived from solar energy, which produces no greenhouse gases and provides a limitless power supply, the cost of which is not affected by geo-political struggles and natural disasters. The New York Times reports that scientists are very concerned that the dramatic effects of global warming, which include severe storms, ecological disruption and displacement of populations who live at or below sea level, are inevitable. “[The 400 ppm measurement] symbolizes that so far we have failed miserably in tackling this problem,” said Pieter P. Tans of NOAA, who spoke with the source. If you’re concerned about the impact of using non-renewable, polluting energy sources like coal and natural gas, you should call a Bay Area solar company about the possibility of having a solar panel installed for your home or business. Call West Coast Solar at (877) 379-3448 for more information.